Lyuba (Talita) is one of those women, whom I meet constantly. She works as a cleaner in Abovyan city. One can see her often cleaning our own yard. She is a mother of four. After losing the house of her husband Lyuba has lived in numerous places. The most outstanding of which, where I got acquainted with her and her family, was the “stone house” in an uninhabited field out of Abovyan city. The house was a little above the ground, with small windows, without electricity, without water, without neighbors, without any traces of civilization, but with great hopes and great dreams and joy towards the future. One could write a whole book about Lyuba. But I will try to cut it short now. 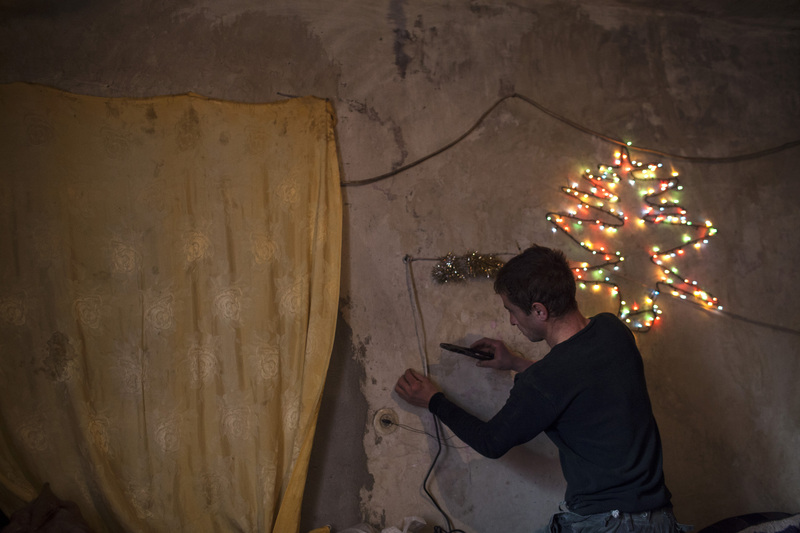 After her husband’s death Lyuba was afraid to live in their soil-based house and moved with her son and mother-in-law to the basement of one of the houses in Aboyvan’s “Ellar”quarter. She paid a rent for it. Her mother-in-law died there. The doctors had told she had cancer, but she didn’t believe them. When seeing me Lyuba joyfully asked me to dictate a letter to her. She had waited long for a “brainy” person to help her to write a letter. In fact, so long that the vice president of Armenia is no longer Hovik Abrahamyan. Thus, I automatically got into the film about Lyuba and her son celebrating the New Year. I am dictating a letter for her to the vice president Karen Karapetyan. Those who want to help Lyuba please contact us by women@4plus.org email.